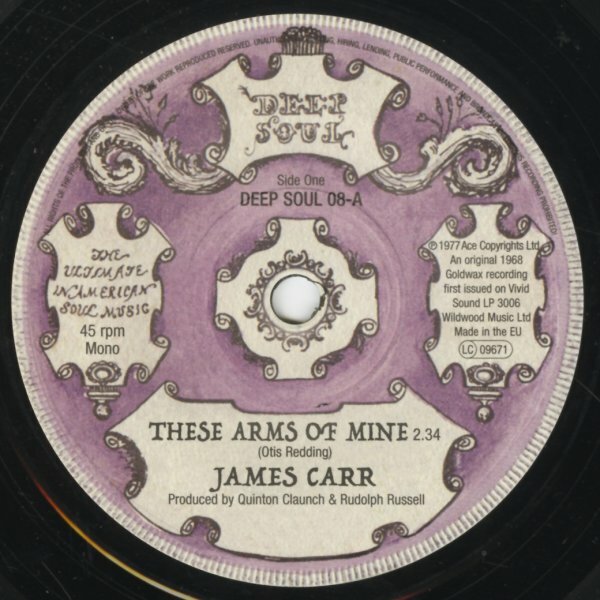 James Carr may not have cut the famous version of "These Arms Of Mine" – but he does a superb job here on the classic – really hitting the tune with his best deep soul energy, and maybe even a bit more sadness than on the Otis Redding hit! "Let's Face Facts" is fantastic, too – almost conversational in approach – that kind of hard-burning pure Memphis mode that made Carr's late 60s recordings such classics! © 1996-2019, Dusty Groove, Inc.